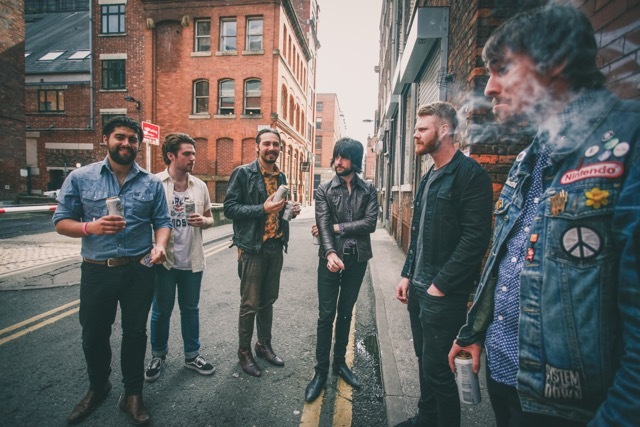 Manchester based sextet, Feed The Kid, announced the release of two new singles, In The City and Century. Also announcing their performance at Liverpool's Pretty Green Weekender Saturday 3rd September at The Blade Factory in conjunction with Bido Lito, the band are quickly making a name for themselves in the Northern hemisphere. Having appeared at Kendall Calling and set to support Primal Scream, Feed The Kid have drawn the best possible sound out of a dire situation, and have picked up the ultimate respect in the process. Drawn from life experiences with low opinions of capitalism, the tracks fight back from the neglected North of England, delivering a cut-throat, deep bluesy soundtrack right into the hearts of their large mass of listeners. Talking about the tracks, front-man, Curtis Taylor said: “People are struggling all over. "It is about our city, but then every city is the same - it chews you up and spits you out. Capitalism at its peak. "Even though we are not a punk band this has a longing for rebellion. "Call it what you want, punk, psychedelic, rock and roll, punkadelica. Future dates with Neighbourhood Festival and This Feeling are certainly not to be missed, for more information, follow the link below.